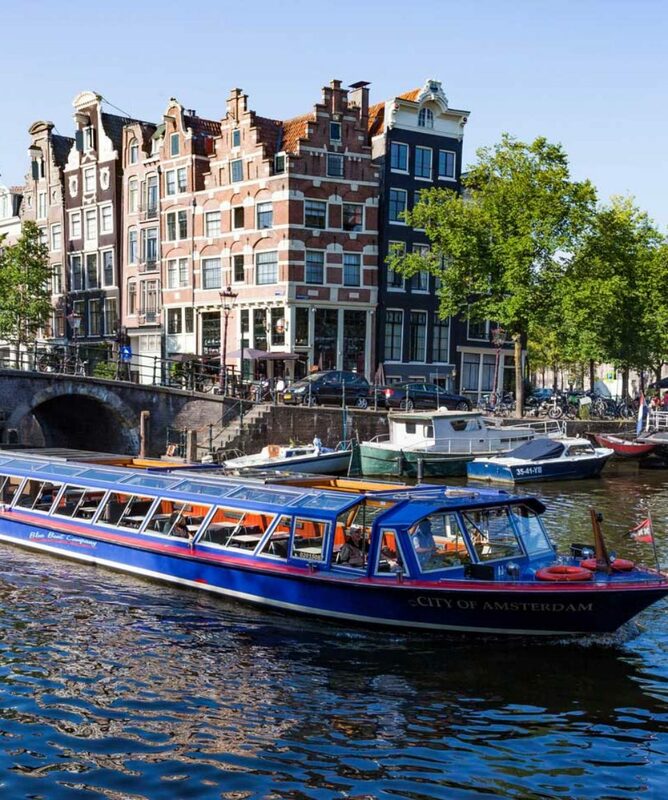 A Canal Cruise is still THE best way to explore Amsterdam: from the water! Amsterdam is best viewed from the water. On this 75-minute canal cruise you’ll experience the best of our historical city. It offers you the best views of the 17th-century buildings lining the city canals, and will also show you the 21st-century city that Amsterdam has become. You’ll come across new architecture and bridges, showing a city that is rooted in history but continues to develop and change. You’ll see the city the way it really is – from the Golden Bend to Overhoeks, the city’s newest quarter, and from the Music Building in the harbor to the impressive (replica of a ) VOC ship outside of the Maritime museum. All departures offer a Personal Audio Sytem. This offers audio commentary in a choice of 21 languages (free headphones are suplied). There is also a special audio story for the kids! This is the ideal way to enjoy the Dutch capital for first-time visitors. Do you have an Amsterdam City Card? Then this cruise is FREE! Just show your card at the ticket office and you will receive a boarding pass for the first available departure. April is the busiest month of the year, especially during weekends. These online tickets are OPEN tickets and do not guarantee availability! If you are planning to visit us in April, we strongly advise you to arrive as early in the day as possible to secure your seats and avoid any disappointment. Alternatively, you could choose to book our Evening Cruise or Burger Cruise. These nighttime cruises are always booked for a set date & time, so your seat is guaranteed. We expect the busiest days to be the Flower Corso weekend (13 & 14 April) an Easter weekend (20 – 22 April). 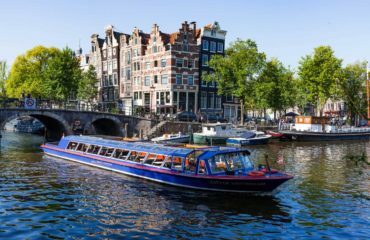 Amsterdam is best seen from the water, and on this 75-minute canal cruise you’ll experience the best of this historical city. You’ll come across new buildings, bridges, and much more in a city that’s rooted in history but continues to change. 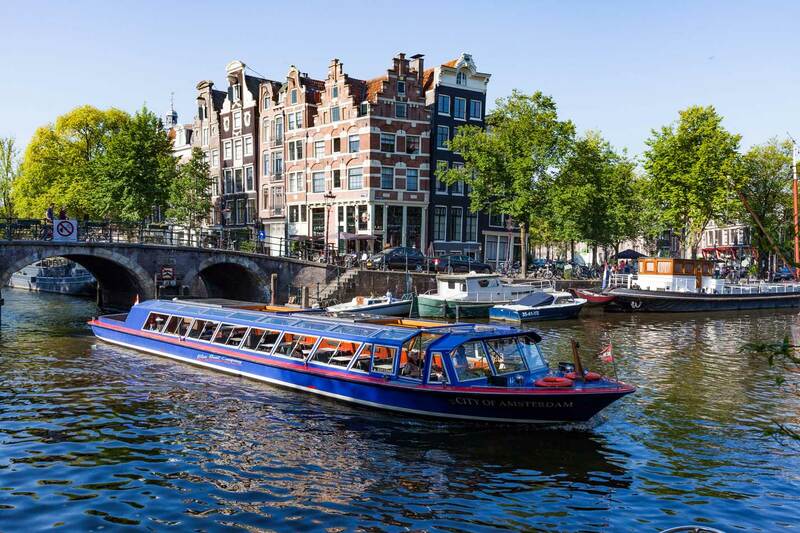 The Amsterdam City Canal Cruise offers you fantastic views of the 17th-century buildings lining the canals and also shows off the growing 21st-century city that Amsterdam has become. 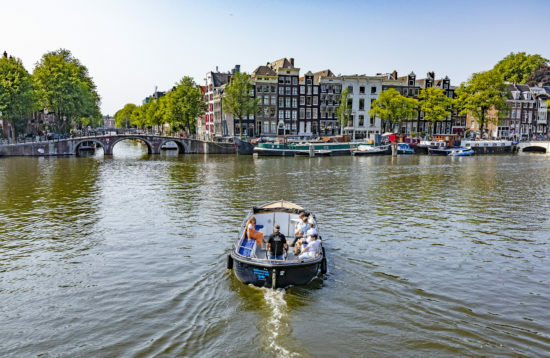 You’ll see Amsterdam the way it really is – from the Golden Bend to Overhoeks, the city’s newest quarter, and from the Music Building in the harbor to the VOC ship, the Amsterdam. 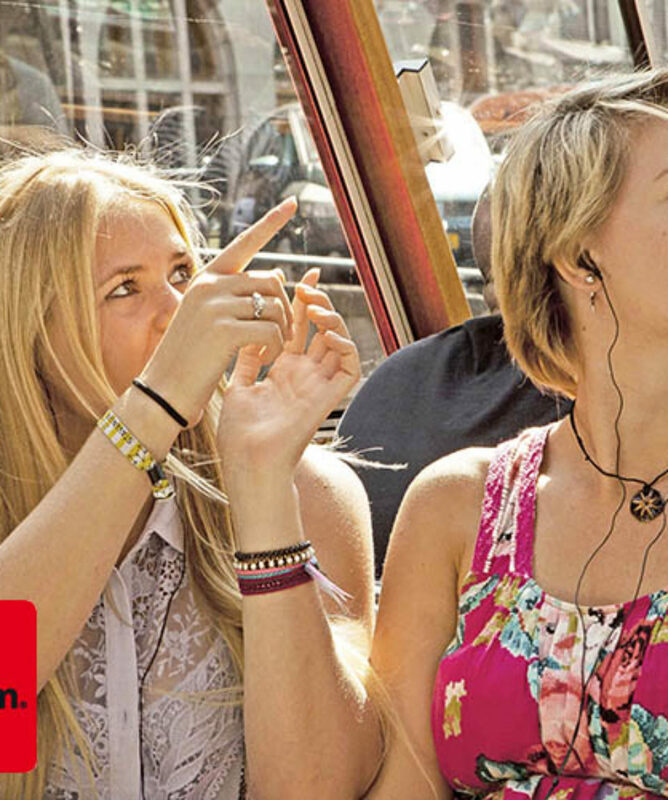 On board, put on the provided personal audio system to hear recorded commentary from a guide. 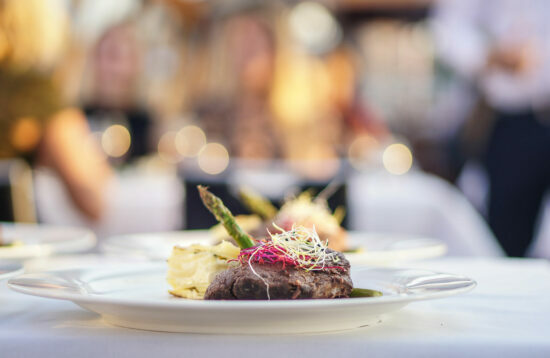 This is the ideal way to enjoy the Dutch capital for first-time visitors.This is an open ticket that you can use at the time that suits you best. Do I have to make a reservation?There is no date or time on my e-ticket!I bought an e-ticket, but did not receive anythingWhat can I bring with me on board the City Canal Cruise?Is there a toilet on board? There is no date or time on my e-ticket! What can I bring with me on board the City Canal Cruise? No. For regular cruises (daytime cruises) it is only necessary to make a reservation if your party is larger then 20 persons or if you need wheelchair access. Group cruises always have to be booked in advance. Don’t worry – all City Canal Cruise tickets are open tickets, you can use these on any day or time (when available). Oh no! Please send an e-mail to bbsupport@prioticket.com and mention the name the booking is made under,. They will resend the tickets to you. Unfortunately, not everything is allowed on board. Bringing your own food (like MacDonalds) is not allowed. Of course you can bring your (soft)drink or small snacks like candybars or ice creams that are purchased at our shop. yes, we have a toilet on every boat. Dear Dominika, With the Amsterdam City Card, the City Canal Cruise is free, so you do not have to book a ticket! just come to the ticket office and hop on the next boat! I want to make a reservation with an Amsterdam city card, but I don´t know how to do it.